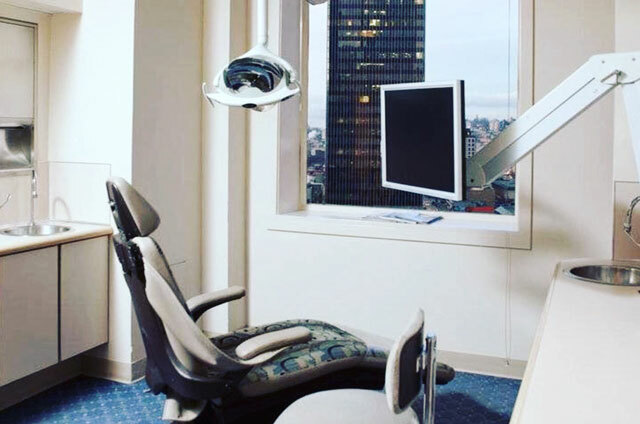 If you’re new to Seattle Specialty Dentistry, or are seeking prosthodontic, cosmetic or general dental care, you’ve come to the right place. With our comfortable setting, “gentle touch” dentistry and expert staff, we go out of our way to ensure that you feel special. During treatment, we can provide pillows, blankets, warm towels, sunglasses and stereo headphones. If you need a little extra relaxation, we also offer nitrous oxide, sedative medication and even general anesthesia under the care of a certified anesthesiologist. For your convenience, we accept early morning and lunchtime appointments, as well as same-day visits for emergency care. If you bring someone with you to your appointment, they can relax with a cup of coffee or herbal tea. Or if your visit is going to take a while, they can step out to do a little shopping at Nordstrom or Pacific Place, stroll around Pike Place Market, or grab a bite at a local café. We’ll call their cell phone when your procedure is finished.